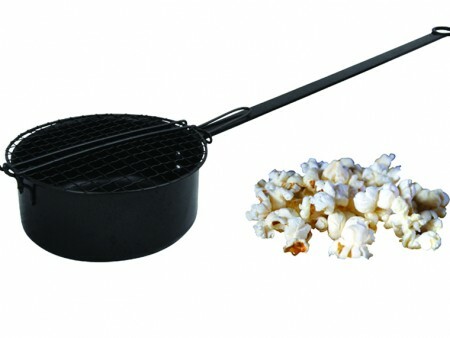 A great accessory for popcorn lovers – and not just for use over a fire pit! SKU: PCP. Category: Accessories, Firepits. With an extra long handle and a practical mesh lid, our Popcorn Pan provides a fun accessory to satisfy the cravings of popcorn lovers of all ages. Suitable for use over an open fire, flat top wood burner, bbq or one of our fire pits. Delivery: £5 UK Mainland excluding Highlands. If part of a multiple purchase, this cost will be recalculated at checkout.